Guest post by Scott Parker, Cure MD. Like the adaption and implementation of every new and innovative technology, it takes time to get used to it. Therefore, with electronic health records, being ready for change is key. Previously, physicians were comfortable with a paper-based system because its usage had been a norm since and before they started studying medicine. The way they had to learn and adopt to a working environment when they started practicing, they will have to do the same with innovative technologies such as EHRs, built to make their lives easier. In the initial stages, EHR documentation is likely to be cumbersome as physicians familiarize themselves with the new system. 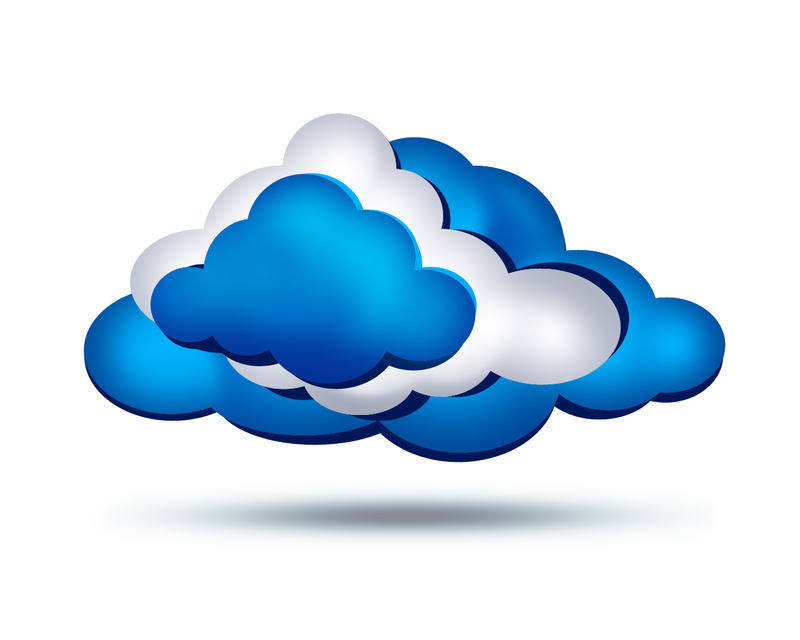 Cloud computing services are increasingly moving into the future in healthcare. However, the protection and security of private data are two of the main reasons why the healthcare sector is generally slow to adopt new technologies. According to market researchers at MarketsandMarkets, healthcare will invest $5.4 billion in the cloud by 2017. The “Healthcare Cloud Computing (Clinical, EMR, SaaS, Private, Public, Hybrid) Market – Global Trends, Challenges, Opportunities & Forecasts (2012 – 2017)” analyzes and studies the major market drivers, restraints and opportunities in North America, Europe, Asia. According to the report, Market researchers estimate that last year at least 4 percent of healthcare is in the cloud. This year, this share is expected to grow to 20.5 percent. As we move toward an environment in which technology is more widely accepted, there’s little doubt tools that organizations like hospitals and health systems (individuals, too, for that matter) use to build their brands, educate their communities and engage patients are paying dividends. At least for the organizations taking steps to utilize the tools. According to a new survey by CSC (Computer Sciences Corporation) conducted in July and August, of 36 hospitals, the use of social media in the space is growing, and having some positive effects on the communities each serves. CSC found that for organizations, direct engagement with individual patients remains uncommon and only one hospital reported that it uses social media in care coordination or care management, unlike some individual caregivers who actually use the tools to engage patient populations with generic care instruction or knowledge transfer. Healthcare organizations, like all of us using social media, want to attract a large audience to our message and products. However, using social media for improved patient outcomes were not a popular objective according to the survey as less than 25 percent of organizations listing it as a primary objective. 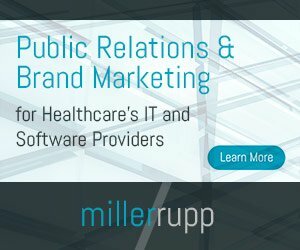 Only a couple hospitals survey said they did not use social media at all, citing fear of liability or malpractice concerns, and concerns that users would post negative comments about the organization while some organizations do not get involved in social media because they do not feel they have the internal expertise needed to drive the program. Now the real heavy lifting begins. Beyond building brands and managing messages, healthcare organizations may wish to think about more their products, long-term goals like driving patient engagement and improving healthcare outcomes. Develop an overarching strategy of how to make social media work for you. Begin with easy areas, such as marketing and communications, proceed to patient education and announcements, and then look for ways to leverage social media to improve care and generate other benefits. Look for ways to connect patients to providers, or providers to each other. Pre-empt possible negative experiences by communicating openly about social media with employees and with patients. Develop a social media policy that outlines appropriate use for staff, and post a disclaimer on your site informing patients that information provided is not meant to serve as medical advice. Social media is a force for good; concerns about the use of social media are often overstated. Individuals are more likely to share positive health-related experiences via social media than negative experiences. We’re here now, we’re ready and the tools are available to serve the greater good. It’s time to engage, damn the consequences. 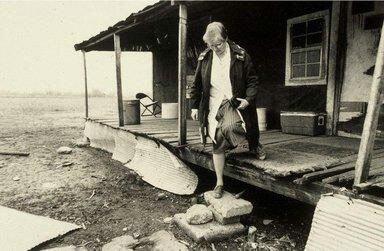 Dr. Brooks, in Tutwiler, returning from a house call early in her career. I’ve known Dr. Anne Brooks for nearly three years and I consider her a friend. She’s always receptive, available and willing to lend an ear, and offers insight I can only hope to have one day. Plus, her stories are chronicle-like and filled with wit, humor and poignancy. And she’s got a tomb’s worth of them she could tell, and probably should. But, perhaps she doesn’t have the time. She’s too busy caring for the folks of her adopted hometown of Tutwiler, Mississippi. Dr. Brooks is a nun. She’s taken a vow of poverty. In Tutwiler, she’s needed it. The people here are part of the one of the poorest in the United States. Patients pay for their care, if they can, with vegetables or other goods. Some times they drop a few bucks on the counter, but it’s a guarantee that by the end of the year, the clinic – Tutwiler Clinic – is going to be significantly short of operating funds. More than 75 percent of its operating funds come from donations by individuals and grants. Those who wish can contribute through a PayPal donate button on the clinic’s site. 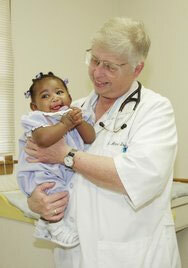 The Tutwiler Clinic is a nonprofit founded in 1983 by Dr. Brooks, D.O. and three other Sisters of the Holy Names. Its purpose is to provide wholistic healthcare in Tallahatchie County, located in the middle of the Mississippi Delta. According to its site, the median household income in the county is $18,800, while the US poverty level for a family of four is set at $20,650. Two-thirds of the clinic’s new patients have no Medicare or Medicaid or other health coverage assistance. To say Brooks has operated the clinic as a personal mission for the last 20 years is no understatement. The clinic is her calling; Tutwiler is her home. She became a physician at age 40, following a career in education. However, for 17 years prior, from the time she became a nun, she was confined to a wheelchair because of what had been diagnosed as severe rheumatoid arthritis. She eventually met a physician in Clearwater, Florida, who asked to treat her and through osteopathic methods and acupuncture, eventually she was out of the chair and walking again. The same doctor to help treat her was the same physician who encouraged her to join him in the medical ranks. She acquiesced and eventually began to study. When she graduated, she wandered around the south through Mississippi, Louisiana and Florida seeking a clinic to serve. Next, she wrote several letters to towns that were in medically deprived areas offering her services. Tutwiler was only community to respond. The town gave her a few funds to refurbish the clinic that had been shuttered since the early 1960s and she opened it in August 1983. By January she was seeing more than 700 patients a month. The clinic had a segregated waiting area when she arrived, but she immediately changed tat. She serves as medical director and chief administrator at the Tutwiler Clinic, serving about 8,500 patients a year. She also is Chief of the Department of Medicine at the Northwest Mississippi Regional Medical Center in Clarksdale, where she has also is on the board of trustees and has served as Chief of Staff. She is one of three doctors in the county, and currently mentors two medical students. She admits that she is desperate for another doctor at the clinic, which has a staff of 30. She prays every day for anew doctor to join their staff, but to date (she’s been searching nonstop for months) she’s received little interest. Sister Anne Brooks recently with a young patient at the Tutwiler Clinic. Brooks is a country doctor in so many ways, like you’d imagine from the 19th century: she makes house calls, and has seen the greatest level of poverty and unhealthful living. Her heart seems to explode with passion for those she cares for and the folks she cares for often suffer from sever chronic conditions, such obesity and diabetes, because of lack of quality nutrition because of their poverty. She prays a lot for them. When she’s not praying, the 74-year-old who works 12 hour days, most days a week. She believes in wholistic care — taking care of the whole person and enabling a person to care for themselves. When not providing care, she and her staff run a Habitat for Humanity program that has built 37 homes, and she also started a second-hand clothing store and a community center, with a gym and library and helps residents learn everything from life skills like cooking, to earning a GED, to staying fit with Zumba. To fund the community center, they sell locally made quilts. Even though she lives in a world seemingly lost, if not a little forgotten, she’s dedicated the Tutwiler Clinic to employing the most current tools to ensure her patients receive the best care possible. As such, she utilizes an electronic health record. In her 20 years as a physician, “Care has changed in many, many ways,” she said recently. There are new forms of care, new understandings of how various body systems that medicine can affect, and, most notable to her, are genome studies and the potential for tailoring medicine to a specific patient. Perhaps it makes no matter. Machine at her side or not, she still knows how to provide the best care she knows how to provide, and the people she cares for are blessed to have her at home in her community. In many cases, they owe her their lives; at the very least she should be given some thanks. Perhaps that’s why the American Osteopathic Foundation recently named her the 2012 physician of the year. Any mention of money and people’s ears seem to perk. Work, for the money, on the other hand, seems to stifle a person’s desire to embark on the profitable journey. The above over dramatization is courtesy of yours truly. Stellar dialogue, wouldn’t you say? Among my many talents. I’m actually a playwright. No, really. Published and everything. Anyway, getting to the point, it seems that not matter where we turn, in this new healthcare environment where there seem to be opportunities for ‘49ers where ever you turn, someone is trying to tell you how to produce more profitability or efficiency for your practice. Despite the zingers, there really are a few good pieces of advice out there that do seem to make sense, but, yes, you’ll need to put in a little time and work. So, to eliminate wasted work and improve efficiency, which improves profitability, establish a process and iron out the wrinkles. The following six steps will help, she says. 1. Choose a process to streamline. One that is causing problems will most likely be easy to identify and will probably already will be taking your attention. 2. Answer this question, Stryker says: “What should the process accomplish and why is that important?” She encourages practice leaders to clearly identity the purpose and value of the process and write it down. “This is the yardstick for future evaluations. This is the only aspect of the project that the physician(s) cannot delegate or outsource,” she said. 3. Write down the steps to follow, in order. Once all the steps are documented, walk them through them to be certain you have not left anything out. Add what you left out and walk through again. Repeat until all steps have been captured. 4. For each step, ask the group: “What does this have to do with the goal?” If nothing, eliminate it. If not much, eliminate it or combine it with another step. “Is another step performing the same function?” If so, which one produces the best outcome? Eliminate the less effective step. “Is there a better way?” Do you have a tool, not available when the process was first developed, that gets the job done more effectively and/or efficiently? 5. For the amended process, ask: “Are any additional steps necessary? If something will be printed now that was not printed before, what will be done with the paper? “Are the steps in the most logical order?” Examine alternative sequencing as a possible improvement to the process. “Is the process intuitive?” Will it be easy for the person doing the work to remember or to engage? “Are any steps error-prone?” What can be done to eliminate error? If it can’t be done away with, what can be done to validate the step was done properly? Repeat from Step 5 until satisfied with the proposed process. 6. Once the improved process is implemented, choose another process and repeat the analysis. Continue until satisfied with the way the office works. And hopefully, once all of the steps in the process have been completed, you’ll find yourself with more time, a more efficient practice and you’ll identify ways to free up a little extra cash. For some, it’s frightening time to be in healthcare. Given the continual changes related to reform and reimbursements, compounded by the fact that independent practices are being gobbled up by hospital systems and independent practitioners are becoming employees, but a new study commissioned by The Physicians Foundation say that roughly 60 percent of physicians would quit the profession or retire today if given the opportunity. This is no new trend. And as noted in HealthLeaders Media report, that’s what makes this latest piece of data so much more shocking. What’s also somewhat shocking about the Physicians Foundation study, which featured more than 13,000 physicians, is that the results clearly reflect this sentiment – that physicians are frustrated with the overwhelming pressure facing them – and that they would rather get out than picture themselves as professional caregivers for the long haul. Certainly, this is not insignificant. These are not your typical professionals working a job, taking an hour lunch and then heading home to the family. It’s not like they’re working in one field one week and they decide to try a new job at a different company the next week. These are highly educated professionals who have dedicated their lives to a cause and a belief that they could make a difference by helping people “get better.” Simply put, they’ve made a lifelong decision to practice medicine that the majority could sooner walk away from. Apparently, physicians just don’t feel they are being heard. They feel their opinions don’t matter so the only way they may have to make themselves heard is to pack up and hit the road. Because of the pressure they face from regulation, reduced reimbursements and providing greater quality at a lesser cost, many feel alienated, and some are beginning to do something about it. For starters, they’re reducing or eliminating the number of Medicare and Medicaid patients they’re seeing. Some are leaving private practice (some by choice, others not) and becoming employees where they’ll have fewer managerial worries than if they were to stay put in their practices. After all, employees are hired to do a job; managers are required to solve most of a business’ problems. Employed physicians are employed because, for the most part, they got tired of trying to solve the world’s problems. But, according to the study, becoming an employee is not viewed as a positive move. Especially for what has traditionally been a fiercely independent population. Almost half of physicians under age 40 would board the windows and find another way to pay their student loans. In some cases, there are certainly doctors among this population that just got into practice. These are the physicians who are supposed to be changing the way, setting the new normal for the industry; unabashedly accepting that this is the new world order of things and the hells bells, we’re in it to win it. If this is indeed the truth, that so many young physicians are wondering why they spent so much time in school and spending so much money on their educations just so they could become employees of the “state,” the future doesn’t see that much different than the present and we have bigger problems that we’re anticipating. Are 93 Percent of Physicians Really Using EHRs? Dr. Eugene Heslin has always loved technology. In his 20 years in practice, he’s embraced it. From the start, in 1992, he brought in a practice management system when he opened his practice’s doors. Since then, the practice has grown to a five-physician group of family practitioners serving more than 14,000 patients is Saugerties, New York — about 100 miles north of New York City — and has added an electronic health record system to the mix. The “home-grown” practice serves patients ranging from younger than one month to older than 107; from near life to near death, and everything in between. Physicians at the practice, Bridge Street Family Practice, see the whole gambit and provide care to a lot of people using technology to do so, Dr. Heslin said recently. Heslin is a self-proclaimed technology advocate. As far as he’s concerned, it provides clear benefits at the practice level, and, ultimately, improves patient care. He spoke to me as he sat on a train headed to the City where was able to access his EHR remotely and send a few messages to the practice and patients. He also reviewed a few records and handled some administrative work all from his laptop. “The access to information is much improved. I’m practicing smarter because I am able to access information in my time instead of sitting with a pile of paper charts,” he said. His is a story similar to others. When he implemented the EHR he got rid of the paper, found time for other more important things than paperwork and now provides care from anywhere. Because he’s connected, he can interact directly with his patients through his EHR’s patient portal, which patients seem to like. But the real power of his EHR is in its ability to help track and manage the patient population’s health and outcomes. Though there is much that can be done in an electronic system that can also be done using a paper record, this is just not one of those things, he said. He’s now in control of all the patient data in his practice and it’s truly helping improve patient’s lives, especially those with chronic conditions. “The true power of EHRs for the majority of physicians is that we’re going to need this data, and the only way to gather the data is to do so electronically,” he said. 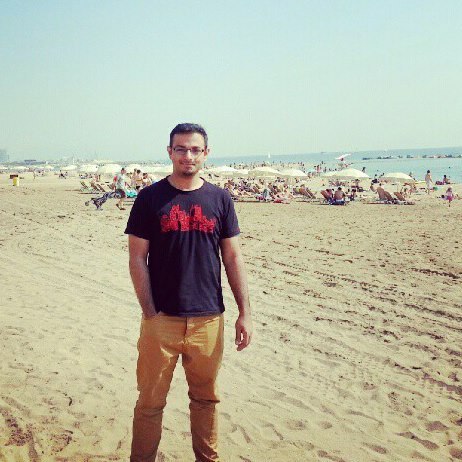 A lover of technology, Heslin is not brand loyal and he’s not married to any system. He’s on his second EHR and he’s seen or tested several of the market’s top names. Each does some things very well, but not everything. But as the market continues to change and with adoption recently reaching 70 percent of all physicians, Heslin said that the systems are going to be standard equipment for any practice in the near future. Certainly that comes as no surprise, he admits. What’s next, he said, is interoperability of the each of the different vendor’s systems so that information can easily flow from one to another. Ultimately, the data contained in each must be controlled by the physician rather than by the vendor. Care givers need to be able to move data within the health sphere, with each system offering point-to-point communication abilities that are far more advanced than today’s version of glorified email. As the landscape continues to embrace electronic records, the data extracted will become more robust and provide for better modeling of care. Perhaps one day, the technology will begin to allow for a bit of predictive analysis, he said, at which point care can become about prevention of disease rather than about fighting existing conditions. Essentially, if people can be kept out of the hospital or from exhaustive care programs, resources can be reallocated and eventually saved. Heslin’s are not predictions of a country doctor hoping for the best through the use of technology. In the health IT community he has some clout. A board member (he’s actually treasurer) of the New York eHealth Collaborative (NYeC), he’s part of one of the most proactive groups in the United States working to improve care. NYeC works to educate the healthcare industry and those in need of treatment, with a goal of elevating the level of general understanding as to how health IT can improve care. He’s part of the public/private partnership that’s working to move healthcare forward with health IT. Everyone, like himself, has an opportunity to participate, he said, which strengthens the movement. New York is a complex place, though. There’s a great deal of diversity in the care and cultural spectrum. However, if a successful program to move health policy forward can be built here, it can be built anywhere, he said. And if the policies lead to better care outcomes, more engagement from the community and its professionals, then real change can be accomplished, and all of the efforts made over the course of the last several years will be worth it, he said. According to Terry’s article in which he features a report from CapSite, electronic health records are now being used by about 70 percent of physicians. Really, this is no small achievement and should be celebrated by all of us in health IT. The promise of the technology is being realized, and federal incentives aside, I believe physicians are clearly standing behind the fact that EHRs do in fact create more efficient, streamlined care that will help produce better care outcomes and improve lives. Clearly, as a community, we have decided that as an industry, it’s time to move forward like many of the other giants of our age, like banking and web commerce. Technology is paramount, mobility is a requirement and access is no longer optional. Patients realize the importance of access to data and they (we), are skeptical by nature. We want to be coddled and to be assured that everything is going to be okay. Like children, we are growing more comfortable with the fact that with an electronic, connected system we are able to make better decisions, can more easily engage and, frankly, can better educate ourselves when needed. And I believe we are educating ourselves, especially when it comes to the value of these electronic systems. This education is helping us, as patients, encourage our care providers to adopt electronic health records. Personally, I don’t believe, meaningful use is sole reason behind the increased adoption. A large portion, yes, but, obviously, not the only thing driving adoption. As consumer patients, we’re helping drive change in healthcare, and through this partnership, there are many great things coming. The first of which is the news that as far as adoption of electronic health records, we’ve finally reached a passing grade. I’m anxious to see what’s next as we begin to enter the post-EHR era. It’s a good time to be here; an exciting time indeed. For all of you info nuts, I discovered a fascinating repository of healthcare trivia facts collaborated by Rock Health. There’s some pretty terrific and wonderful information here, and some pieces of trivia that I would never have imagined. For example, this may be a softball, but, think America has got it all? Apparently not. It’s the only wealthy, industrialized nation that doesn’t have a universal health system. Speaking of wealthy, we Americans spend about $8,000 per capita on healthcare. That’s twice the amount of our next closest competition. That’s heavy. We’re also a heavy nation. Nearly 70 percent of all adults are obese. And as “advanced” as we are in our healthcare, our life expectancy is at about 79 years. That’s 50th globally. Maybe the mortality rate has something to do with the obesity rate. Perhaps it has something to do with the number of medical error deaths each year: between 50,000 and 100,000. For those of us in otherwise non-final stages of life, there’s a good chance we’re living with a chronic condition. One in two Americans suffer some form of chronic illness. That’s a lot of pain. Moving on, what do we spend our healthcare money on? Give yourself a pat on the back if you know some of these figures. Shocking. Total healthcare dollars spent in 2010 was $2.6 trillion. Nearly all of that is spent on personal care, at $2.2 trillion. No wonder we spend so much time talking about the subject. That’s a lot of dough changing hands. By the way, in case you’re keeping track, the rest of the money was spent on health insurance admin and public health, according to CMS. Thanks to Rock Health for also pointing out that of the $2.2 trillion spent in personal health care expenditures, Medicare and Medicaid finance $525 billion and $400 billion respectively, or more than 40 percent of health care. That’s a lot of public assistance. If you’re involved with healthcare IT in any matter, you probably already know that 17 percent of our nation’s gross domestic product was spent on healthcare. That’s more than any other developed nation. More than 30 percent of all healthcare spending is wasted. How about this one? And don’t shake your head like it’s a shame when you might be part of this problem: 75 percent of all healthcare dollars are spent on patients with one or more chronic conditions, many of which can be prevented including diabetes, obesity, heart disease, lung disease and high blood pressure. You do your part, I’m doing mine. In the care setting, 35 percent of U.S. hospitals have adopted electronic health records, and 57 percent of office-based physicians have adopted the systems. According to Rock Health, the number of hospitals using health information technology has more than doubled in the last two years, and the number of health IT jobs in the U.S. is expected to increase by 20 percent from 2008 to 2018. Maybe not for PR folks like me, but I wish you the best if you’re in sales, R&D and training and support. For you mobile folks, and there are a lot of you, perhaps you’ll take comfort knowing that there’s strength in numbers. Apparently, there are more than 104 million folks in the U.S. that own smartphones. Fifty percent are app users and download them regularly. More that 142 million will use them by 2016. For you doctors, apparently about 84 percent of you use tablets in your daily work. Very mobilely progressive of you. Now for a little health on the web. More than 80 percent of Internet users, or 59 percent of U.S. adults, look online for health information. About 25 percent of Internet users have consulted online reviews of particular drugs or medical treatments. And, nothing shocking here, 18 percent of Internet users of adults, have gone online to find others who might have health concerns similar to theirs. People living with chronic and rare conditions are significantly more likely to do this. Who hasn’t done this? Did you know most of this information? If so, good job. Nonetheless, good stuff, this information. I told you Rock Health offered some really great information.